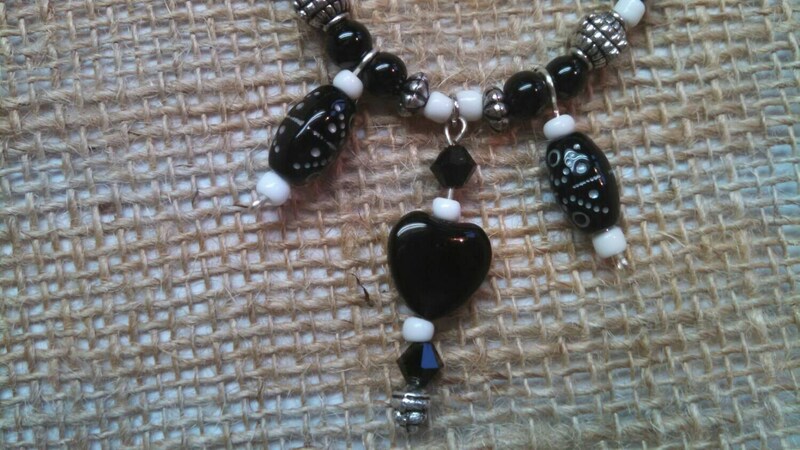 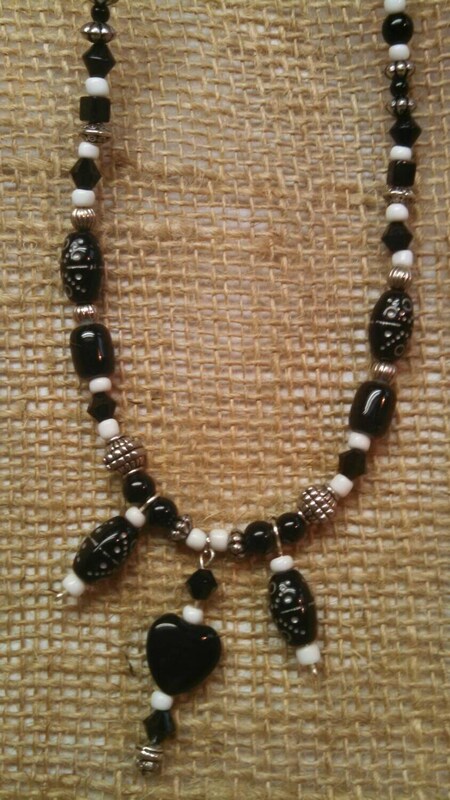 Black and white stone and glass bead necklace. 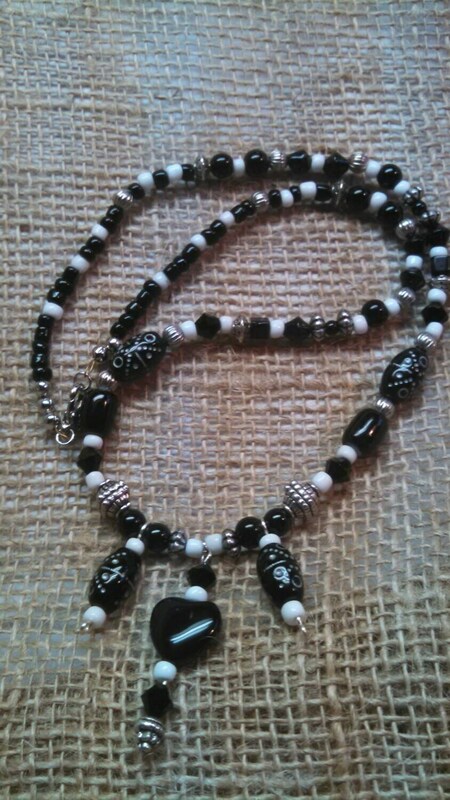 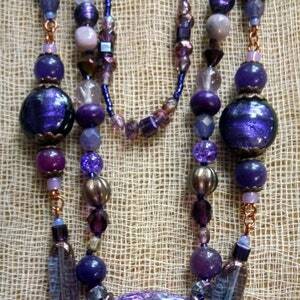 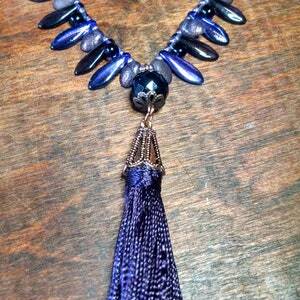 Long beaded necklace has a variety of stone, glass, and silver metal beads done in classic black and white. 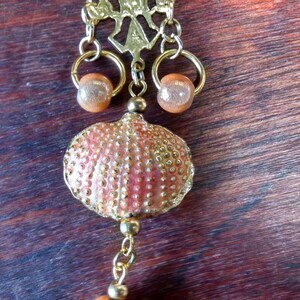 17 inch.